In preparation for the exhibition Serge Tousignant, VOX, April 2016. 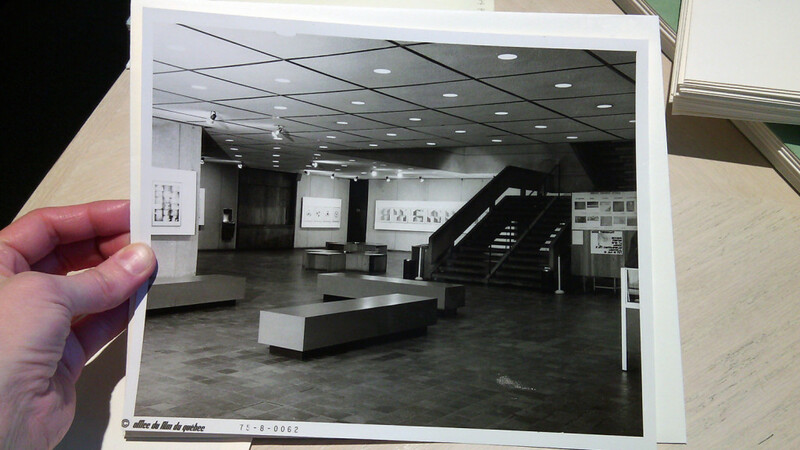 (View of the exhibition Dessins-photos 1970-1974, Musée d’art contemporain de Montréal, Cité du Havre, 1975). Serge Tousignant, Nature morte aux chiffons, 1986, colour photography, diptych, 102 x 284 cm. Courtesy of the artist. Serge Tousignant, Diamant IV, 1967. Courtesy of the artist. Serge Tousignant, Diamant I, 1967. Courtesy of the artist. Serge Tousignant, Exit, 1967. Collection Canada Council Art Bank. 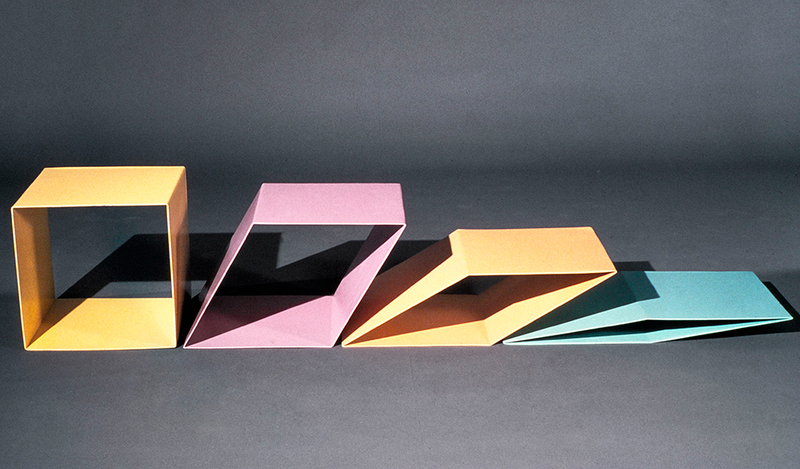 Serge Tousignant, Quatre coins d’atelier, 1972-1973. Courtesy of the artist. 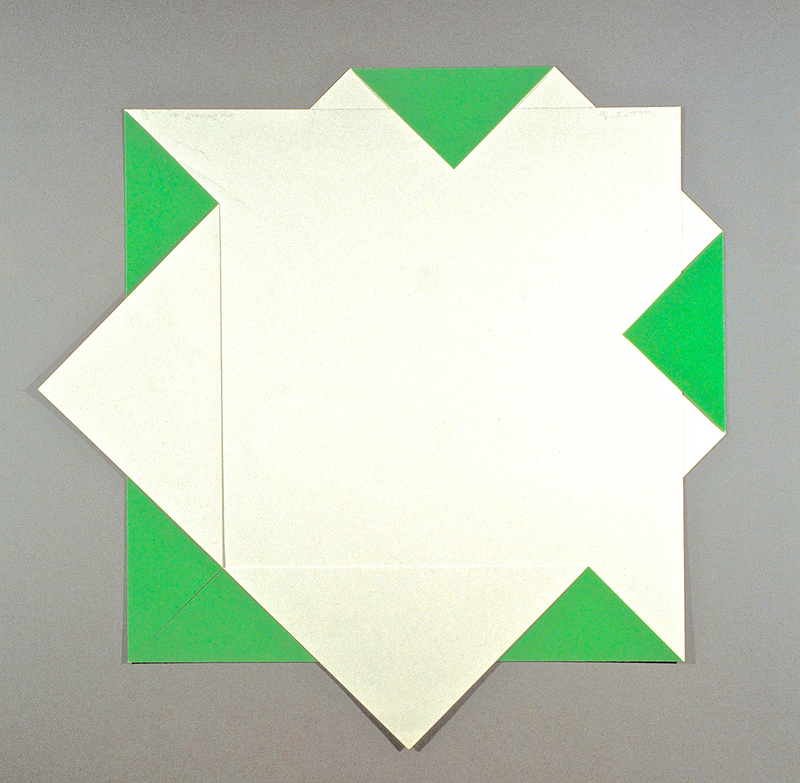 Serge Tousignant, Ruban gommé sur coin d’atelier, 4 points de vision (boîte), 1973. Courtesy of the artist. 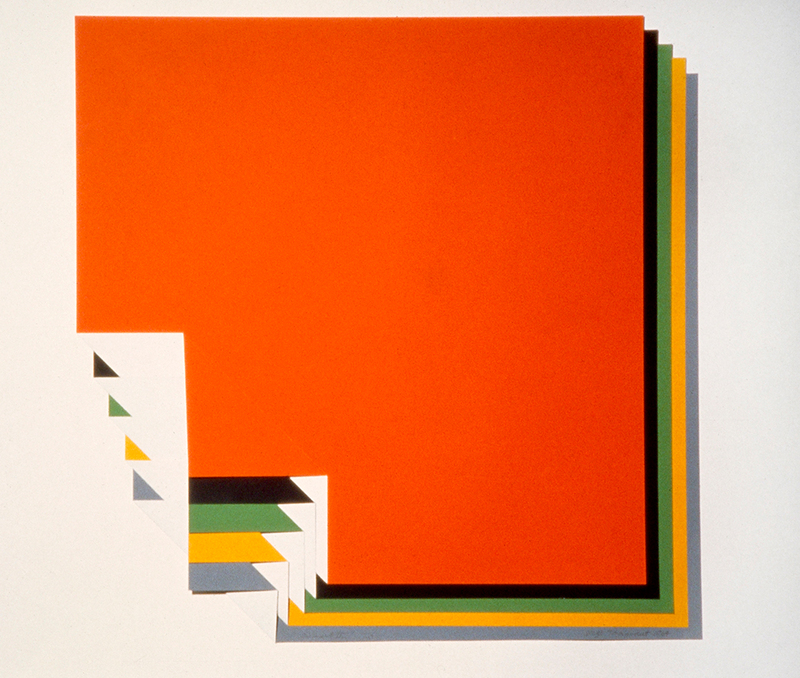 Serge Tousignant, L’oblique piégée, 1988. Courtesy of the artist. Serge Tousignant, Folio au carré rouge, 2015. Courtesy of the artist. View of the exhibition Serge Tousignant. Exposés de recherche, VOX, from April 13 to June 23, 2017. Courtesy of the Canada Council Art Bank. View of the exhibition Serge Tousignant. Exposés de recherche, VOX, from April 13 to June 23, 2017. View of the exhibition Serge Tousignant. Exposés de recherche, VOX, from April 13 to June 23, 2017. Courtesy of the Musée d’art de Joliette. 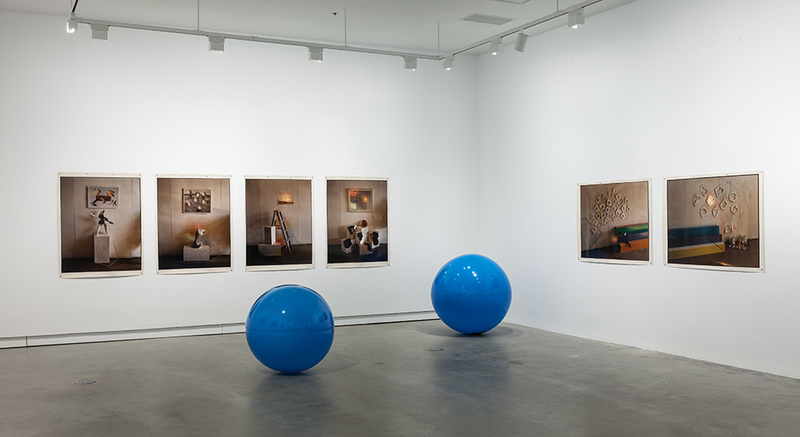 View of the exhibition Serge Tousignant. Exposés de recherche, VOX, from April 13 to June 23, 2017. Courtesy of Suzanne Boucher. Opening on April 13, 2017 at 5:00 p.m. This exhibition is presented with the kind collaboration of the Canada Council Art Bank, the Musée d’art de Joliette, and the Musée de Lachine de la Ville de Montréal. Serge Tousignant envisions exhibitions. That is to say, his works emerge at the close of a process in which, early on, they are planned to end up in an exhibition. 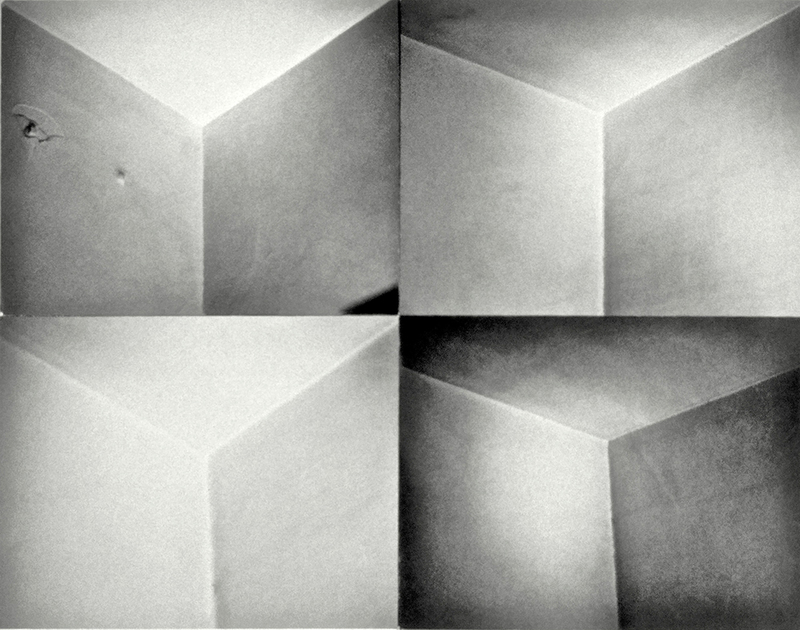 From the moment he conceives of a series of works, he has a scenography in mind for them. The exhibition is thus open to him as an imaginary stage on which he composes relations between the works and the space, influencing a new production. 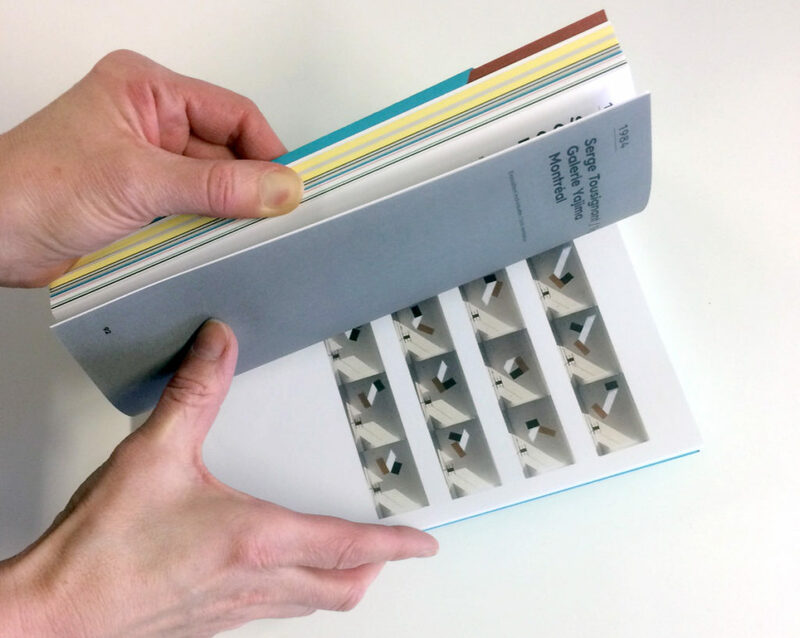 Taking up his way of working, it seemed logical to us to design this retrospective around the exhibitions that constituted emblematic turning points in his art practice. Retracing the thread of those achievements in this way results in an itinerary closely linked to the history of exhibitions, given Tousignant’s participation, beginning in 1966, in landmark Quebec exhibitions such as Présence des jeunes (Musée d’art contemporain, Montréal, 1966), Sculptures & papiers pliés (Galerie Godard Lefort, 1968), Québec 75 (Musée d’art contemporain, Montréal, 1975), Géométrisations (Optica, 1979), Travaux récents (Galerie Yajima, 1984), and so on. Our goal in contextualizing these shows is by no means to embed them in a historical narrative, nor to reify them for eventual canonization; rather, we seek to better study the complexity of the phenomenon, with a view to more in-depth consideration of the function of exhibitions in artists’ practice. Beginning in the 1960s, Tousignant began making art entirely conditioned by experimentation and research. One could easily argue that he belongs to the “artist-researcher” category, considering that his entire practice has been informed by research and interdisciplinary experimentation—which has enabled him, among other things, to unbind photography from its representational functions. 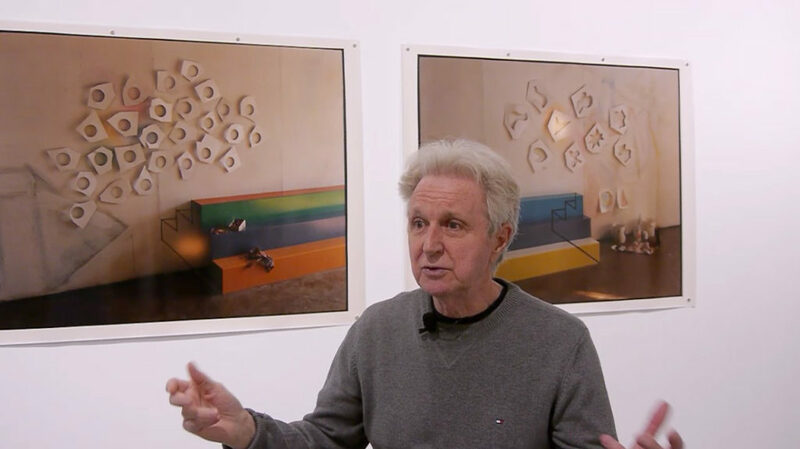 In a career that now spans five decades, he has employed various media—drawing, engraving, painting, sculpture, installation, photography—all while contrasting them with each other, generating formal exercises from “studio corners” to “solar geometrizations,” photographed installations, anamorphic photographs, and so on. 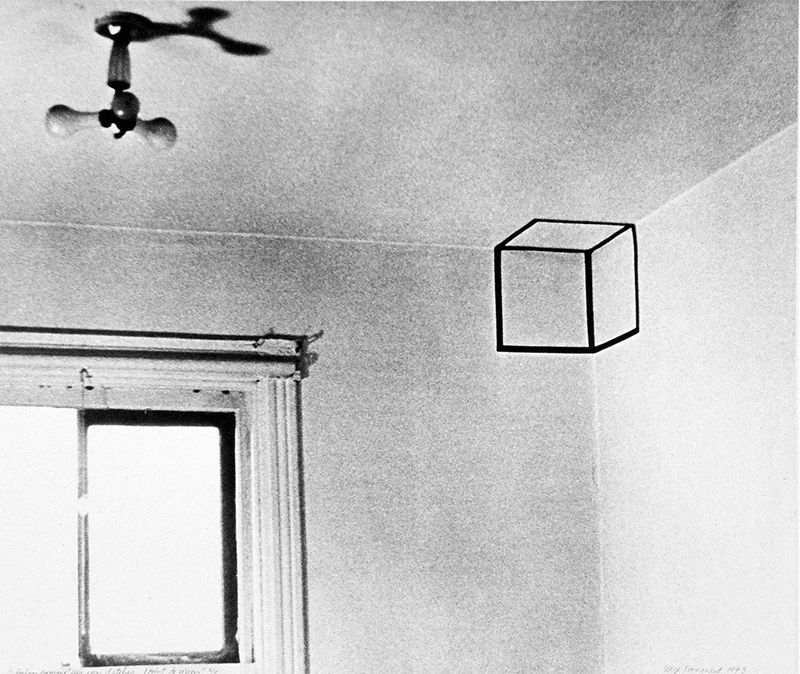 From 1972 onward, he engaged in photographic investigations of how various perceptual phenomena are structured. 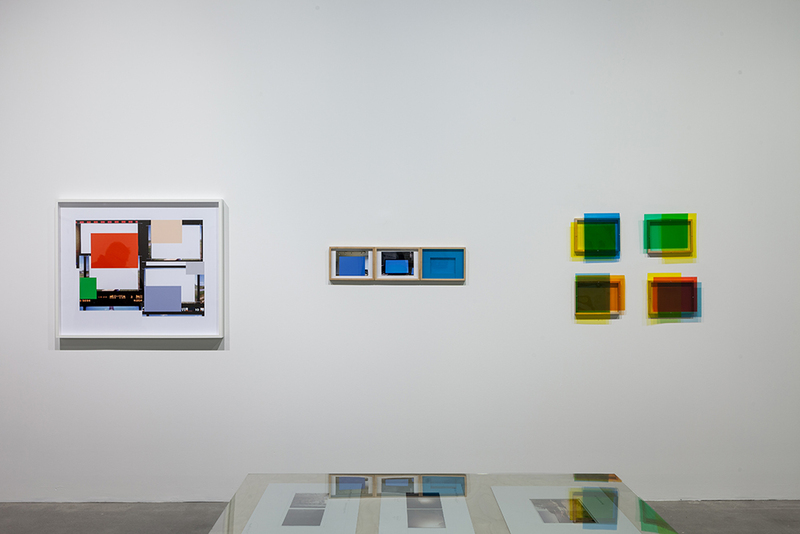 He conducted many in-studio experiments, devising a variety of playful optical-illusion pieces, often arranging them in rigorously constructed grids to demonstrate the multiple possibilities of a single optical system. 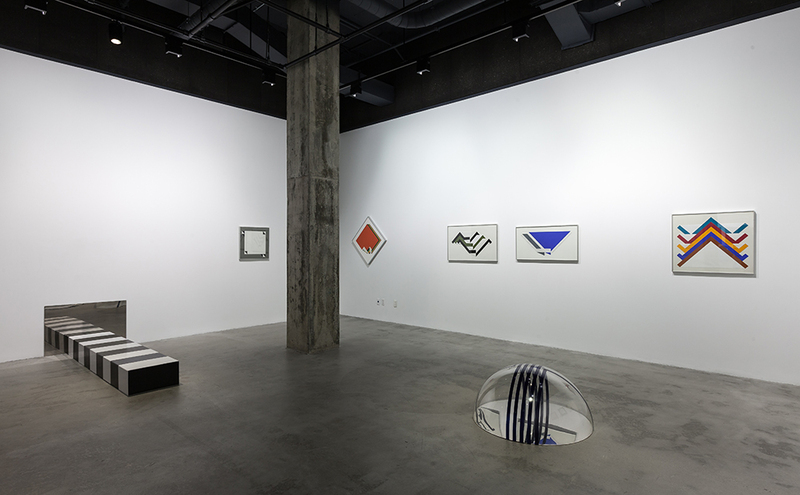 As a result, he was associated with the earliest makers of Conceptual Art in Quebec, known for transgressing the question of iconic representation in favour of analytical examination of the medium. 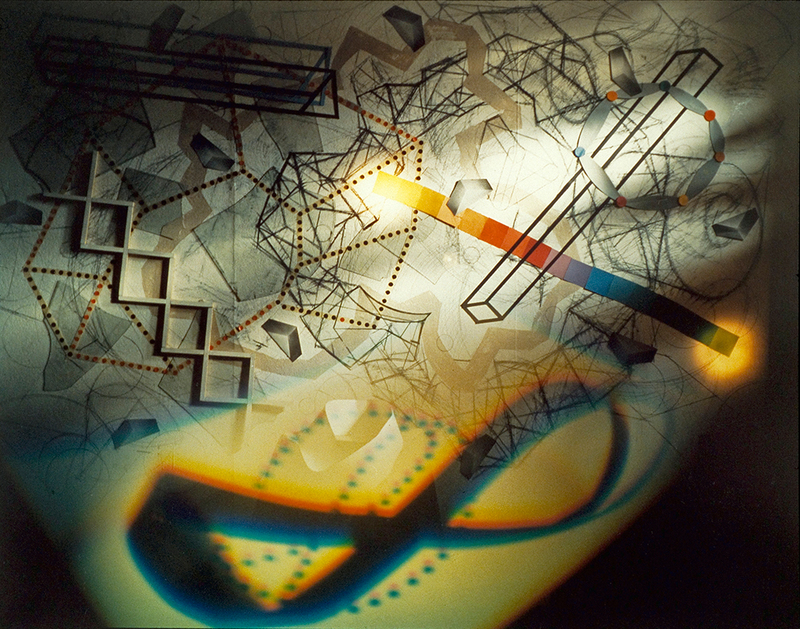 During the 1980s, alongside other artists interested in similar painterly dispositions, he helped bring about a new photography genre described at the time as “prefabricated image.” This novel approach involved stagings of maquettes or installations in-studio, whereby he problematized the effects of narration, representation and abstraction characteristic of the photographic process. 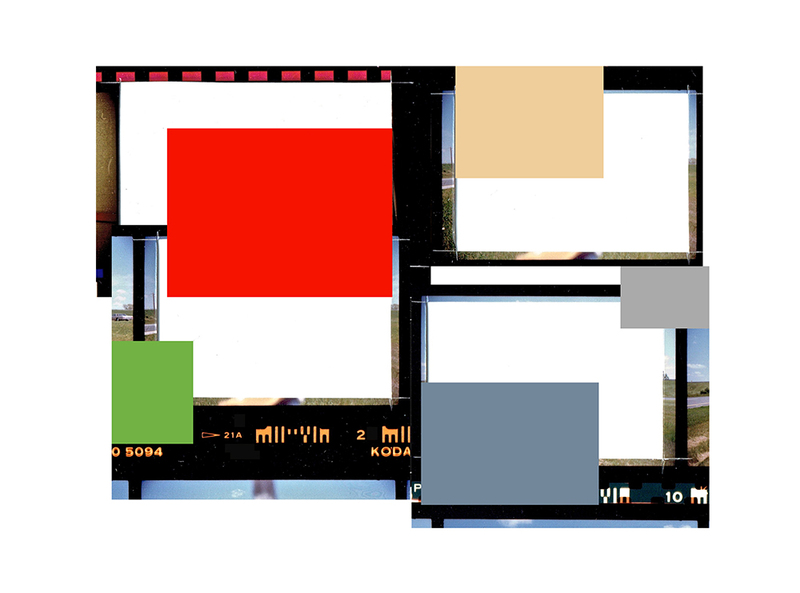 But while experimentation in the studio—a site that, moreover, he often exploited in his images—would seem a way of asserting the autonomy of the work, Tousignant’s modus operandi of consistently anticipating its exhibition in fact obviates it. Indeed, everything proceeds as if the artist’s work in the studio, his research, trials and experimentations, can no longer be reduced solely to its intentionality, because it is imagined according to its eventuality. 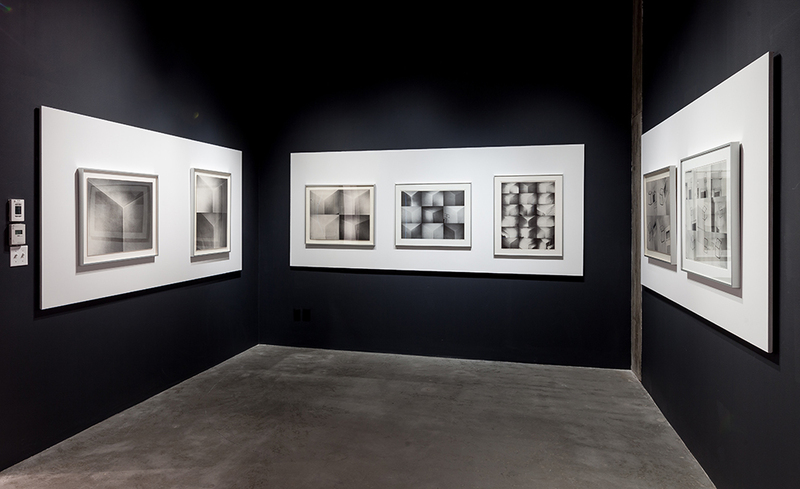 Tousignant’s aim is the exhibition of his research. 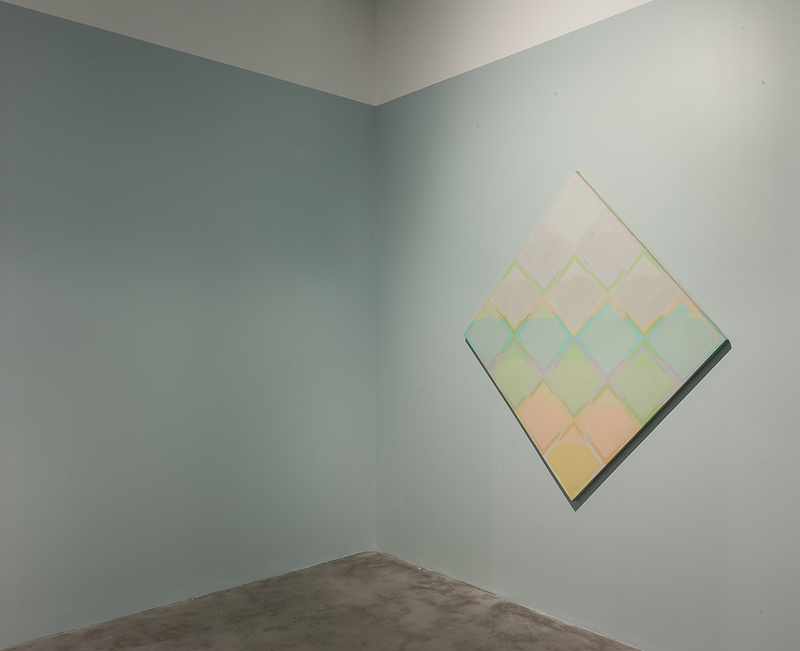 This process was evident as early as 1966, when he hung a single canvas in a room at the Musée d’art contemporain de Montréal, and painted the room the same colour as a square surface in one corner of the canvas. 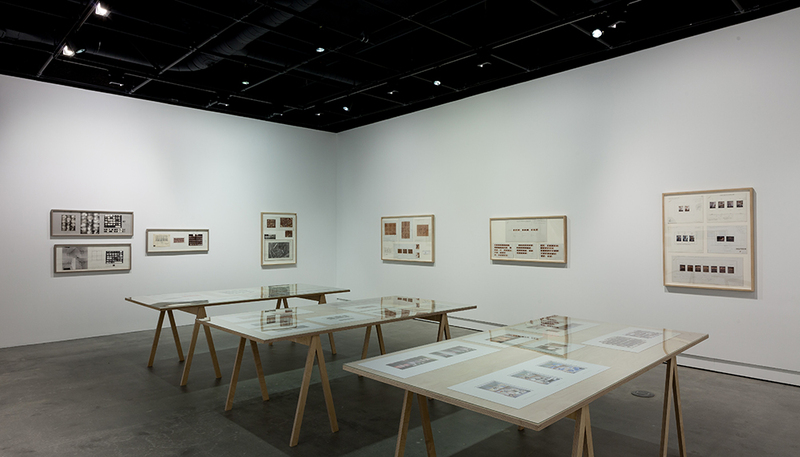 This was a carefully considered, daring action for the time, which made clear Tousignant’s desire for the work be considered in close association with its context, and for attention to be focussed on the exhibition, which he thenceforth viewed as a new space for experimentation. It was exactly this assimilation of the exhibition into the process of artmaking that birthed a new culture of artistic work characterized by the “project”. 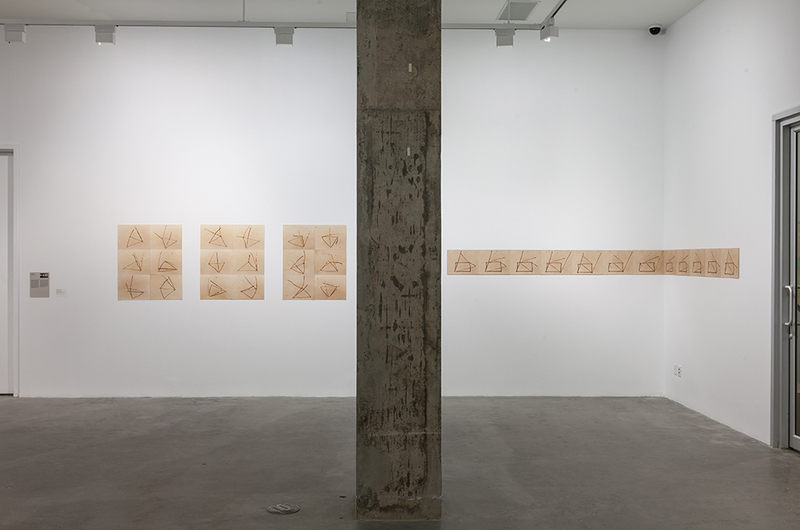 For Tousignant, it was a matter of organizing the work of artmaking around a methodology of anticipation. In-studio production combined in this way with anticipation introduces the idea of a “future effectuation” necessary to “fulfill the aim.” In the words of Paul Ricœur: “this includes the perceptual grasping of a situation, the envisioning of certain goals to be attained, projection of certain desires to be satisfied, ethical and other appraisals, appreciation of the obstacles and practicable avenues, reasoned calculation of the means and ends, judgement of the probable chances of success, etc.”1 Self-determination, anticipation and projection into the future are characteristics of the intentional act that underpin a new way of working, entirely determined by the logic of the project. An essential dimension is missing from that statement, however, to explain how the project became, in the second half of the last century, a mode of existence. It is that the intentional act, as the driving force of the project, is intrinsically linked to self-organizing phenomena that are initially unconscious, yet embedded in the deepest part of that which determines us. So it is no longer about defining the project as an achievement, a work or a specific exhibition, but as a continuous process embedded in a singular destiny. Likewise, it is no longer a question of understanding an artistic practice as the sole consequence of a past cause, but as the implementation of a projection toward the future. The project thus enables us to perceive an individual or an artist as the sum of heterogeneous, but no less coherent, projects that determine him/her, constantly transformed by what s/he becomes. The intent of the exposés de recherche [research exposés] comprising this exhibition is thus to offer a new avenue for interpreting the genesis of Serge Tousignant’s projects, while contextualizing each of them in the history and future of Québec exhibitions. 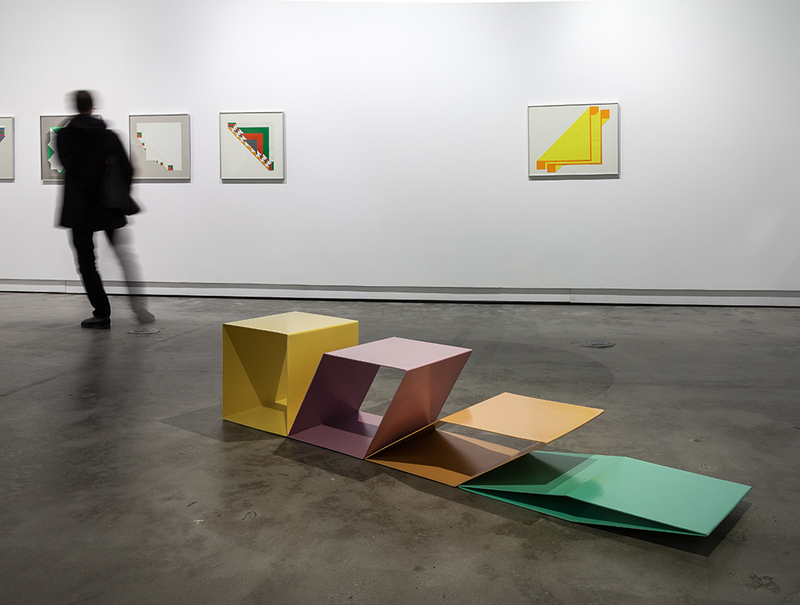 VOX is organizing a retrospective of Serge Tousignant’s work, including his sculpture, painting, photography and installation practices. With the aim of anchoring an in-depth study of Tousignant’s output in the context of a historiography of exhibitions in Quebec, the retrospective features works from landmark exhibitions in which the artist has participated since the 1960s: Présence des jeunes (1966), Perspective 67 (1967), Sculptures et papiers pliés (1968), Dessins-photos 1970-1974 (1975), Québec 75 (1975), Géométrisations (1979), Light: Perception-Projection (1986), Les temps chauds (1987), and Staging: The Prefabricated Image (1995), among others. In tandem with this retrospective, a monograph will be published, furthering our study of significant exhibitions in Tousignant’s career and seeking to understand how he viewed them as veritable laboratories that allowed for research and experimentation. This exhibition is produced in the context of a research project on the history and future of exhibitions in Quebec, which VOX plans to conduct until 2020. Interview with Serge Tousignant during his exhibition at VOX. This book examines the particular relationship that Tousignant established between his art practice and that of the exhibition. 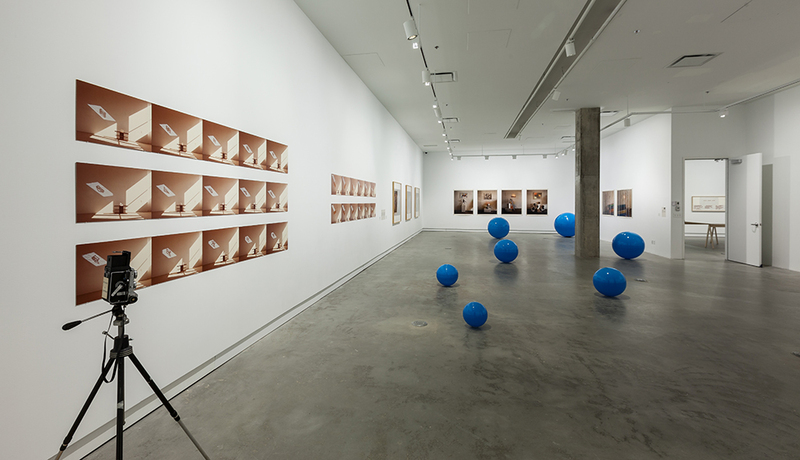 It seeks to contextualize significant works at the time of their public viewing, while providing an in-depth study of the history of exhibitions in Canada.